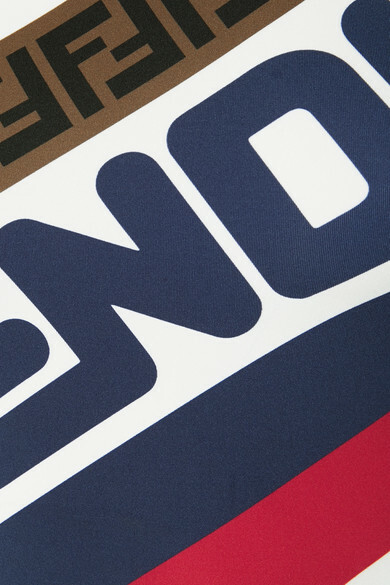 Instagram artist @hey_reilly's design mash-up of the Fendi and Fila logos caught the eye of Silvia Venturini Fendi, and the rest is pop-culture history. 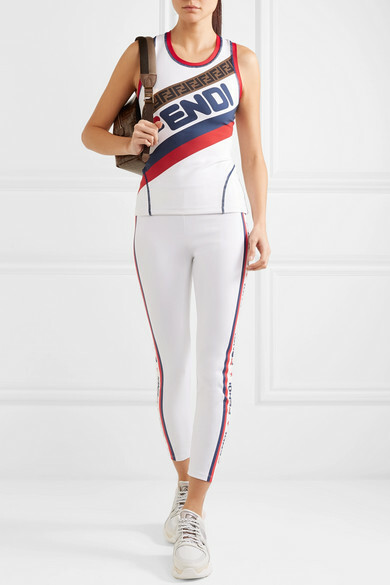 This stretch tank is printed with the Zucca motif and the now-iconic mashup moniker in a red, white and blue colorway. The perforated back will increase airflow as you work out, but you'll want to wear it on your downtime too. 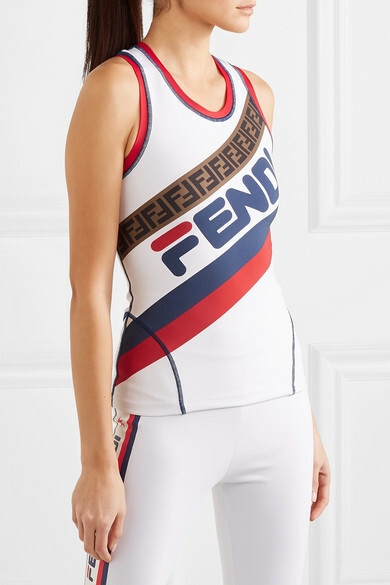 Shown here with: Fendi Leggings, Fendi Sneakers, Fendi Backpack.